I installed this filter for cleaner oil, not extended oil drains. Many say a bypass is not cost effective unless used for extended oil drains but if I can make my oil cleaner for $200 then what the heck. When I sell this truck some day the filter will be removed and installed on my next truck. The filter media (toilet paper) is cheap and although many suggest changing it every 2k miles, 5k seems to work fine for my truck. As long as the filter canister warms right up then the oil is flowing through the media. I just change the tp roll at my regular 5k oil change interval. The filter takes about 10 minutes to replace and it doesn't spill a drop. Just let the truck sit a while so the oil in the filter will drain back to the oil pan before opening the canister. My dip stick shows amber color throughout my 5k OCI. I like to purchase the TP rolls from the manufacturer because they are very tightly wound and fit perfectly. See my Blackstone oil report below to see if it works. 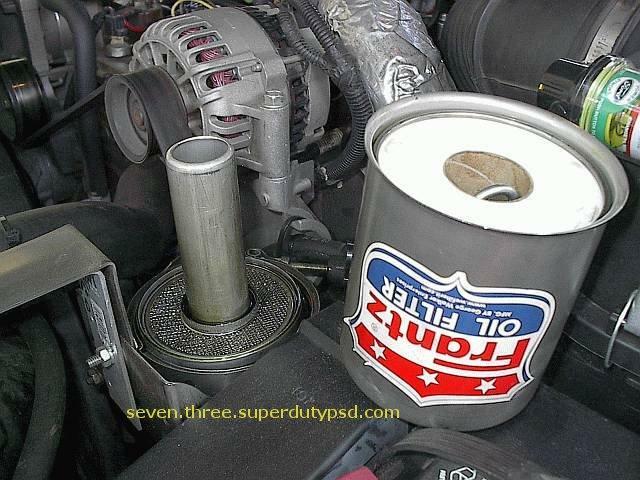 Below is a Frantz bypass oil filter installation on a 2000 7.3L Powerstroke. Bypass connections: the supply is 1/8" NPT and the return is 3/8" NPT. The plug that will need to be removed for the return connection is 5/16" (female) square and the supply requires a 7/16" wrench. When the front supply plug is removed 4 or 5 ounces of oil will come out but it comes out fairly slowly and can be wiped away. 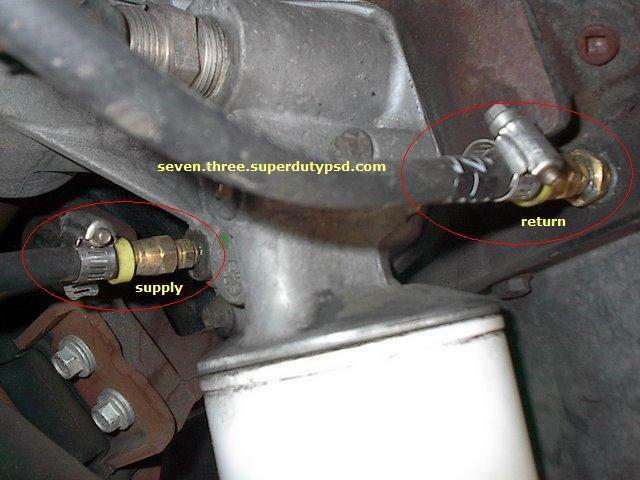 No oil comes out when the return plug is removed. I've updated the hoses since these pictures were taken. I replaced the rubber hoses with stainless braided Teflon hoses. I also installed ball valves on both the supply and return ports. When I change my oil I drive around for a bit to get the oil nice and hot then I let the truck sit for a half an hour or so to let the oil in the Frantz drain back into the engine oil pan. 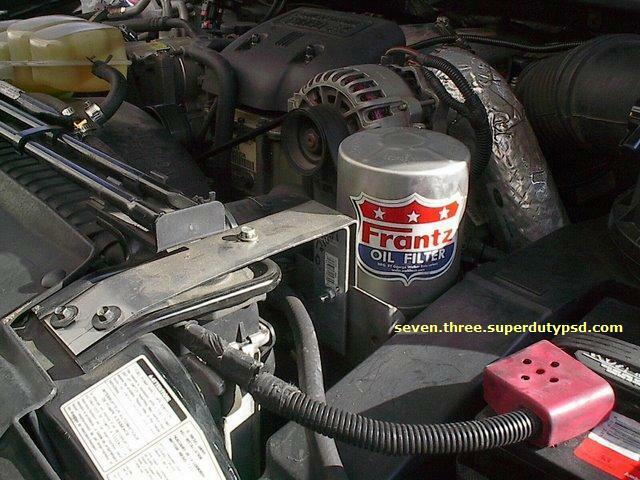 This is why it is important to install the Frantz higher then the oil pan. Below is a picture of the toilet paper after removal. There is about 4,000 miles on this element. Note that there is no channeling or disintegration of the element. 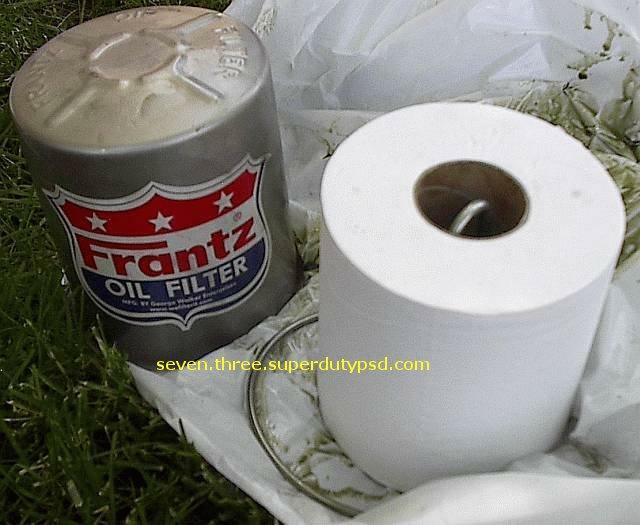 This photo shows the new tp roll ready to go in the canister. Don't forget to put the center pull tab in the roll. 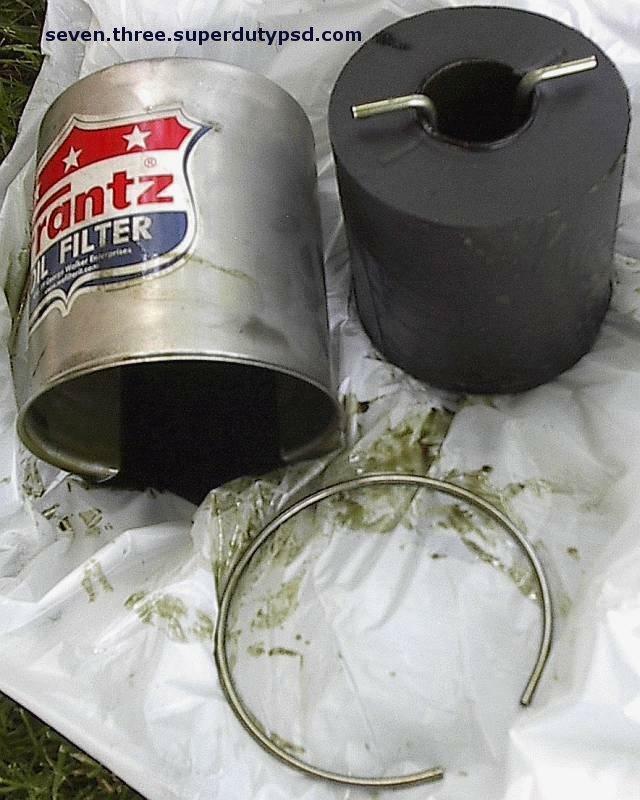 Here is the canister ready to go back on the filter base. The whole filter change takes about 15 minutes and if the Frantz is installed correctly and you let it drain back for a few minutes you will not spill a drop. 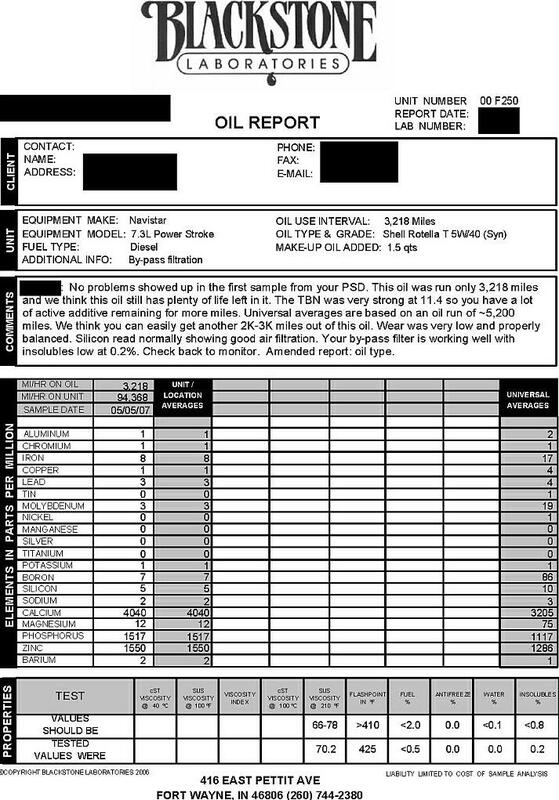 Here is my oil report noting good filtration.